For a relaxing retreat, the Serenity Spa, located in the hotel lobby, offers a wide variety of facials, massages and much more. The Marriott Fallsview Hotel also features spectacular Fallsview Dining at the Terrapin Grille, as well as other nearby dining options. 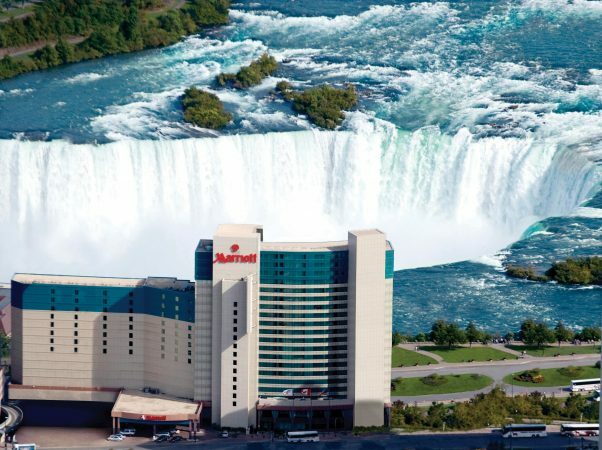 At the Marriott Niagara Falls Fallsview Hotel & Spa you will experience world-class accommodations in the heart of the Fallsview District.